Forky's not the only new friend Woody, Buzz, and the gang will make in Toy Story 4. 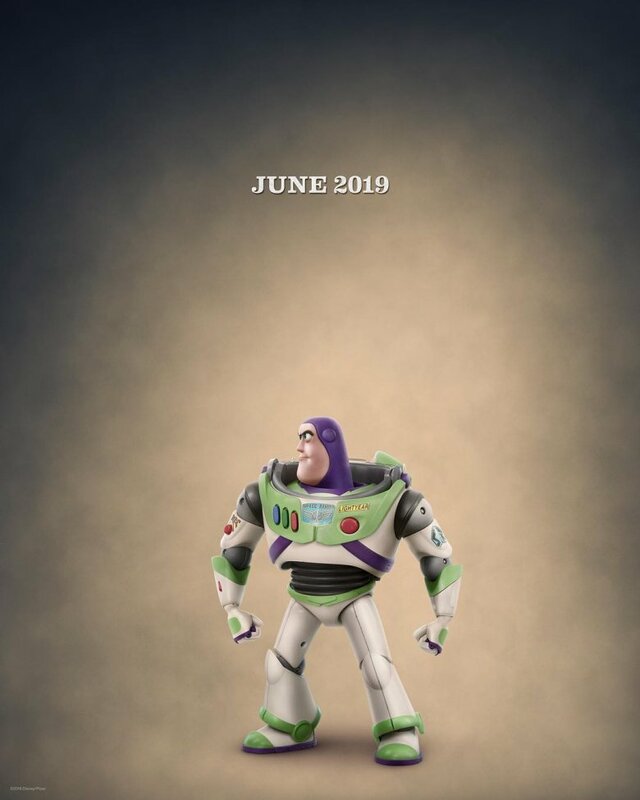 Disney-Pixar introduced the world to two new Toy Story characters on Tuesday, when the studio unleashed a second teaser for the upcoming fourth film in the franchise. The toys in question? Bunny and Ducky — two carnival prizes who, just like Forky (voiced by Tony Hale), are exactly what their names suggest. Voiced by Jordan Peele, Bunny is a turquoise-and-green rabbit plush with zero fears of dimple-faced kids. 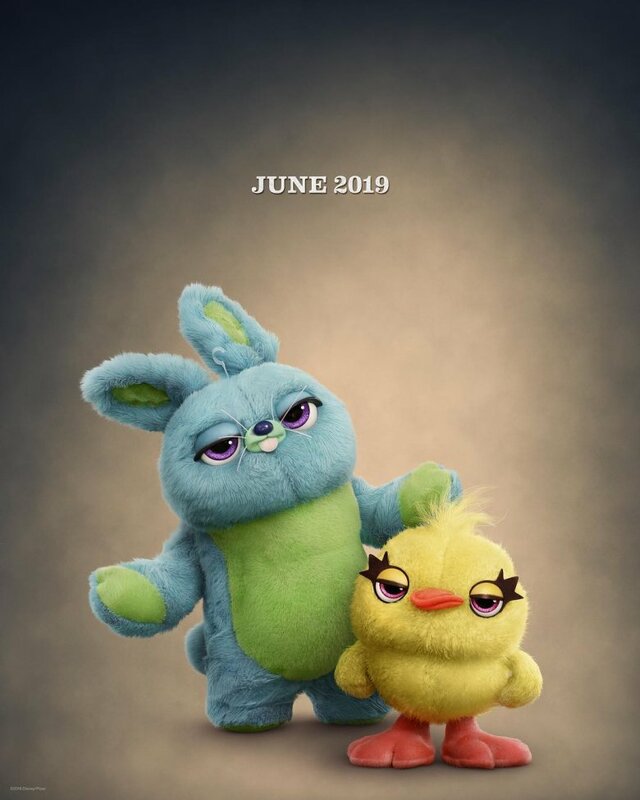 Peele's longtime comedy collaborator Keegan-Michael Key lends his pipes to Ducky, a pint-sized yellow chick toy who flips around, flaps his wings, and declares his best bud Bunny as an "I Don't Care Bear." The new Toy Story 4 teaser opens on Bunny and Ducky sitting on the ledge of the carnival game kids play in hopes of winning them, chatting about Bunny's encounter with a particularly bratty child who said something nasty to him. "So I get real close, right? I'm like, I don't care which cabbage patch you're from, kid. Give me back my View-Master before I knock the dimples off your face," Bunny says, which send him and Ducky into a burst of laughter. From there, the clip gets delightfully meta, as Bunny and Ducky discuss the first teaser for Toy Story 4 that Disney-Pixar released on Monday. "They're making another Toy Story movie," Bunny explains to Ducky, who can't believe that a fourth film is actually happening. "No! I thought those movies were done, dawg. They made three movies!" he says. The goofy pair then make their love for Toy Story known — Ducky squeals, "I love the Toy Story, dawg!" and Bunny says the franchise is his "jam" — before doing some hilarious impressions of Buzz Lightyear (voiced by Tim Allen) and Woody (voiced by Tom Hanks), and repeatedly misquoting Buzz's catchphrase. Bunny insists that it's "to infinity and your mom" or "to immunity and respond," while Ducky thinks it's "to insanity and a blonde." Before they can come to an agreement or realize their verbal errors, Buzz and Woody show up to the carnival game stand. The iconic toy duo teach Bunny and Ducky how to properly imitate Buzz, but the twosome start talking trash about the Space Ranger superhero. "He's up here talkin' about infinity. He'll go beyond infinity," Bunny and Ducky laugh. "You don't know nothing about science." 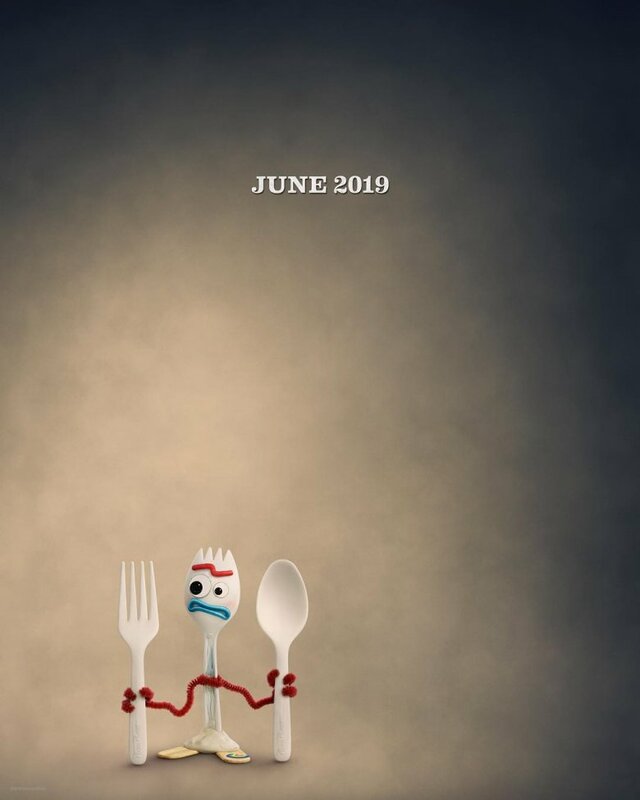 Alongside the teaser, Disney-Pixar also released character posters (displayed below) for Buzz Lightyear and Forky, as well as a joint one-sheet for Bunny and Ducky. It's awesome to have even more fresh faces join the series in Toy Story 4 – and it sounds like Peele's Bunny and Key's Ducky will be important parts of the film's story. The narrative unfolds in a "roadtrip adventure" that Woody embarks on with Buzz and the rest of the classic Toy Story crew. Along the way, they stop at the carnival where Bunny and Ducky live. And though Bunny and Ducky had plans of their own, those get derailed by Woody's arrival, and the pair end up joining the adventure and teaching the rest of the toys "what it feels like to be tacked to a prize wall." If this teaser wasn't enough to convince you that Key and Peele are perfect additions to the Toy Story family, let director Josh Cooley's kind remarks about them change your mind: "Keegan-Michael Key and Jordan Peele, who voice Ducky and Bunny, are two of the most brilliant minds I've ever seen. Of course, they are effortlessly funny, which would be enough. But they are incredible actors that understand story. Their improvs weren't just for comedy sake, they were story motivated which elevated Ducky and Bunny and the film to a level I never could have expected." While Key has kept himself busy with a ton of acting projects recently — voicing Murray in Hotel Transylvania 3: Summer Vacation, starring as Coyle in Shane Black's The Predator, scoring the voice-acting role of Kamari in The Lion King remake, continuing his work as Ethan Turner on Friends from College, and shooting the pilot for Impulse — Peele announced earlier this year that he would be quitting acting to focus on writing and directing films, namely his four upcoming "social thrillers" that will follow his Oscar-nominated directorial debut Get Out. Peele made his decision to quit the acting biz shortly after receiving an offer to voice the Poop Emoji in The Emoji Movie. "I would not make this up. I was offered the role of Poop; I was like, 'That's f***ed up,'" he explained in February of this year. Apparently, either Disney-Pixar made Peele an offer he just couldn't refuse, or he accepted the role of Bunny and recorded his lines before deciding to give up acting for good. In any case, we're thrilled that we haven't heard the last of Peele on the silver screen just yet. Toy Story 4 is scheduled to debut on June 21, 2019.